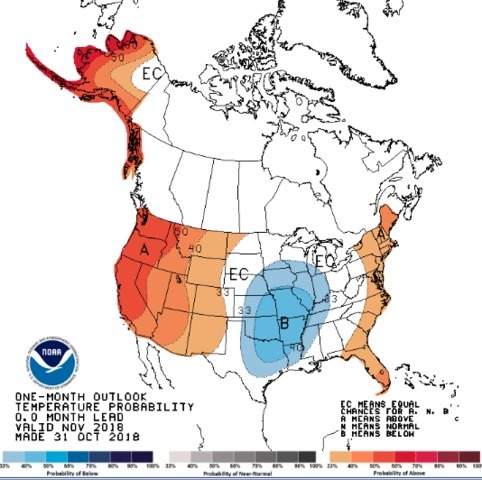 SAN DIEGO (KGTV) -- Average rainfall and warmer temperatures, that’s what the San Diego office of the National Weather Service is forecasting this winter. With a few windows of opportunity for significant precipitation from December to March, it will be a warm and dry winter with more Santa Ana winds expected, according to City News Service. 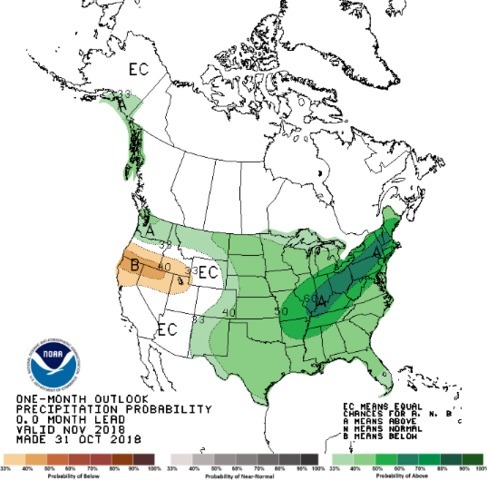 The National Weather Service predicts that San Diego’s best chance for rain in the near future will be in mid-November. Recently, winters in Southern California have trended toward fewer rainy days with heavier precipitation. “If we don’t get that rain in mid-November, then we’re talking about severe fire weather conditions again like last year going into December,” National Weather Service meteorologist Alex Tardy said. More recently, La Nina, or cool equatorial ocean temperatures, has coincided with wet winters in San Diego. The most recent El Nino event in 2015-2016 didn’t bring much rainfall to the region while the La Nino of 2016-2017 brought heavy rain and snow to California, carrying the state out of drought. “At this point, it's a wait and see and hopefully we'll get more rain - we need it after last winter finished as the second driest on record,” Perry said.